Catninga homestead was built in late 1800’s when it was run as a merino sheep/wool producing property. 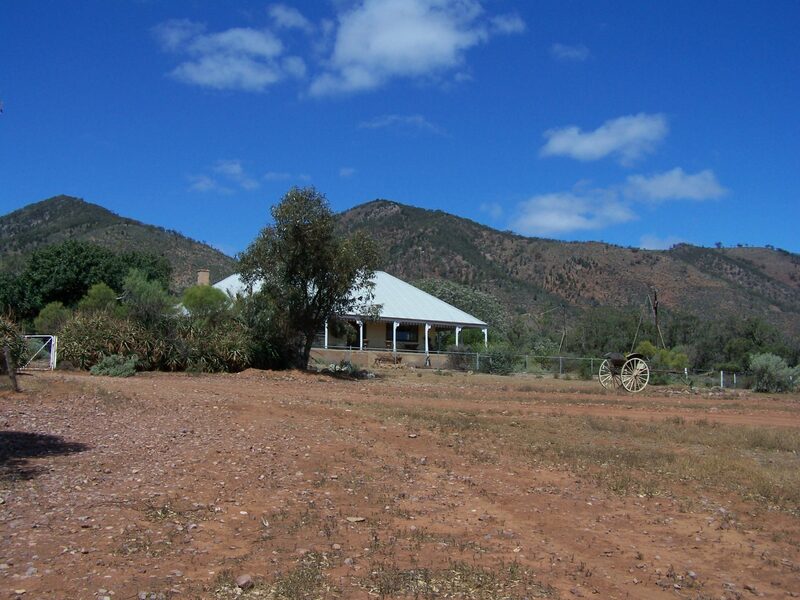 Today, Catninga is a small working cattle & horse property with tourist accommodation, bush camping, trail riding & more! Set amongst deep gorges, high mountain ranges with rugged rock formations and magnificent panoramas, ‘Catninga’ is the perfect choice to give you a taste of the Flinders Ranges. Enjoy the beauty and tranquillity of the Mt Brown area. Whether you’re hiking, biking, 4WD’ing or just relaxing, Catninga’s rugged beauty will leave you with lasting memories. ‘The Carriage’ B&B, situated near the homestead is very comfortable and well appointed. The ‘Catninga Hut’ located near the summit of Mt Brown on the Heysen Trail is well suited to the hiker or adventure seeker. Powered camp areas are available near the shearing shed, or unpowered & secluded camp sites are situated along the beautiful gum creeks.